Many indie authors are discouraged by rumours that big bookstore chains won’t carry self-published books – yet if you persevere, refuse to be defeated, and go about approaching them the right way, they often will. 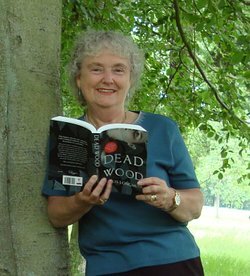 Scottish novelist Chris Longmuir adds her story to our #Authors4Bookstores series of success stories by indie authors who have built strong relationships with bricks-and-mortar bookshops. Following on from the stories of Wendy Jones and Darcy Conroy’s success in persuading the major bookshops in Australia and Scotland to stock their books, I thought I would share my experience. I’m afraid I’m not as proactive as either Wendy or Darcy, and I envy them their energetic approach to the task in hand, however I have had my successes. Like Wendy I approached the then manager of my local branch of the UK bookstore chain Waterstones, also Dundee, but a different manager because this was way back in 2013. I travelled to Dundee with two copies of each of my books, and muttering under my breath that the worst that could happen would be a refusal. Quaking in my shoes I delivered my spiel to the manager, showed him the books, and was amazed when he ordered twenty copies of each book. Needless to say I delivered them the next day. 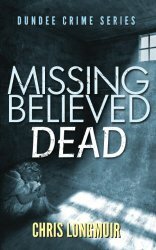 Later that same year Waterstone’s launched my new book in the Dundee Crime Series, Missing Believed Dead, with an order of sixty copies of the book. The launch was a great success, and Waterstones ran out of chairs for those attending, so it was standing room only at the back. 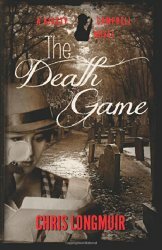 They continue to give me regular orders, and also launched my historical crime mystery, The Death Game, in 2014. Apart from Waterstones, my books are stocked by my local book shop, Hoggs of Montrose, and I receive regular orders from Gardners and Bertrams the major distributors of books in the UK. One thing I have learned to look out for is the sale or return policy expected by booksellers. I was caught once when Foyles wanted to return books they had ordered for Crimefest, however I was able to bodyswerve that one because I had given no such agreement. It did alert me to the problem though, because the markup on paperback books is minimal after the discount and postage is applied, and if returns require to be financed I would be seriously out of pocket. All my invoices now have a statement at the bottom saying ‘All sales final: No sale or return policy’, and so far it has worked. One last comment: Amazon is disliked by many members of the retail book trade, which may be one reason why Createspace books are knocked back, and I think the bookstores are more amenable to stocking indie books when they have an ISBN bought and paid for by the author. OVER TO YOU Please feel free to share your bookstore success story via the comments box. COMING SOON Our new #Authors4Bookstores campaign Guidebook, How to Get Your Self-published Book into Bookstores, will provide a comprehensive advice on all aspects of selling your indie books through bookshops. As with all our guidebooks, the ebook will be free for all ALLi members to download, and on sale to non-members. Great post Chris! As a Canadian, the big player is Indigo/Chapters. I did have a short run at the Chapters in my hometown when I did a book signing there but they won’t stock anything on an ongoing basis. As you say, the key is contacting the store manager, as each store manager has the decision making power of what books they will carry in ‘their’ store. As an expat it’s difficult to keep the momentum going but each time I go home I stir the pot up again. When I launched my first book I was living in Dubai and managed to convince Virgin Megastore to carry it. It is possible. It just takes a bit of effort and ‘boots on the ground’! You don’t say where you’re based Larry, but in the UK, I think all the airport bookshops are part of W H Smith which is quite difficult to get your books into. When I was traditionally published, my publisher did not supply W H Smith because their discount rates were said to be savage. It’s probably easier to get into the big boys such as Waterstones if your books have a local connection, and it’s very much up to the manager whether the store takes them. Some managers seem to be more proactive than others. The main thing is that when you approach a bookstore you pitch it in a way that stresses local connections or a theme that relates to the area, Tailor your pitch to the store concerned. We have a rather large Fly-in Fly-out population (FIFO, mainly mining) in our location and as both of my books are related to the mining industry I targeted the flights most of the FIFO’s took. I arrived a couple of hours before the flight and set up a small but very predominant stand in a corner of the shop, advertised the books as the ‘amusing tales of a FIFO miner,’ but pricing it was the winner; most books in the shop were priced between 24 and $29 I priced my books at $12.50. I sold out!. I sold over a hundred books in two hours. Of course the manager was the real winner, she took home over $600 for doing absolutely nothing. But don’t think I wasn’t happy. How innovative. Love your story, Larry. Really inspiring. Now, I wonder if I’ll have the same luck with my debut novel, Annie’s Story, at Heathrow!